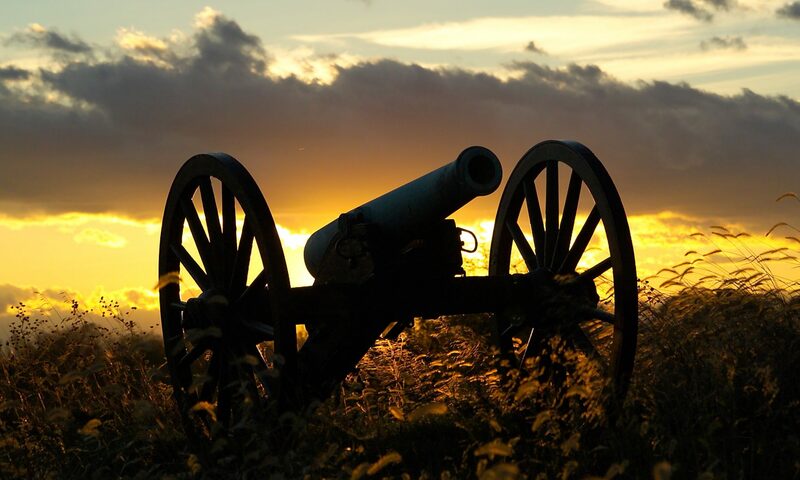 The Southern Maryland Civil War Round Table is pleased to announce that its next meeting will take place on Tuesday, March 12, 2019 at 7:00pm at the College of Southern Maryland’s Learning Resource Center, Room LR-102, at 8730 Mitchell Road in La Plata, MD. Tonight, we explore an unusual and courageous group of soldiers seldom discussed in the annals of Civil War history. 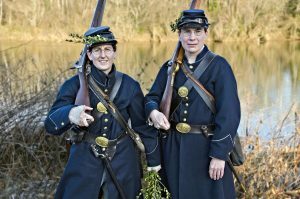 Although women were forbidden by social custom and army regulations to enter military service in the Union and Confederate armies, a surprising number of women disguised themselves as young men and “went for a soldier.” Tracey McIntire and Audrey Scanlan-Teller will discuss and share documentation of some of the more fascinating women and what motivated them to fight alongside men. Tracey McIntire earned her BA in English at Rivier College in Nashua, N.H. She is a Battlefield Ambassador at Antietam National Battlefield, a Historical Interpreter at South Mountain State Battlefield, and an active Civil War living historian, where she portrays a woman soldier in various guises. She is also a member of the Company of Military Historians, Daughters of Union Veterans of the Civil War, and the Ladies of the Grand Army of the Republic. Tracey has worked for the American Battlefield Trust, formerly the Civil War Trust, since November of 2009. Audrey Scanlan-Teller earned her MA and PhD in art history at the University of Delaware. Since 2005, she has portrayed a Civil War enlisted soldier for historical interpretive demonstrations, a portrayal that compelled her to study the women soldiers of the Civil War. A published scholar and public speaker, Dr. Scanlan-Teller is an active interpretive volunteer at Antietam National Battlefield Park, a historical interpreter at South Mountain State Battlefield Park, and a small business owner. Attendance is free, but membership is recommended. For more information, please call 443-975-9142 or email at bsunderland@somdcwrt.org.